In a disappointing ruling, the Fifth Circuit concluded in Asadi v. G.E. Energy (No. 12-20522) that a whistleblower who does not file a complaint with the Securities Exchange Commission (SEC) is not a “whistleblower” under Dodd-Frank, and thus does not have standing to obtain the protections under this law. As directly acknowledged in the Opinion, the Firth Circuit conflicts and effectively overrides the SEC’s own regulation on this precise point. Employers may initially think this as favorable outcome, but the opposite is true. 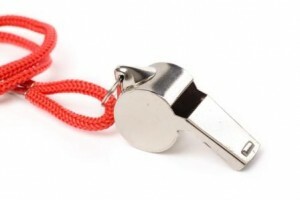 The ruling encourages, if not mandates, that whistleblowers go to the SEC, instead of using the employer’s own corporate governance systems, include internally-provided whistleblower reporting mechanisms. The SEC’s program and rules are described in this article. Whether protected under Dodd-Frank or not, the whistleblower would still be protected under Sarbanes-Oxley, and would have rights to sue under a different administrative process administered by the Department of Labor.